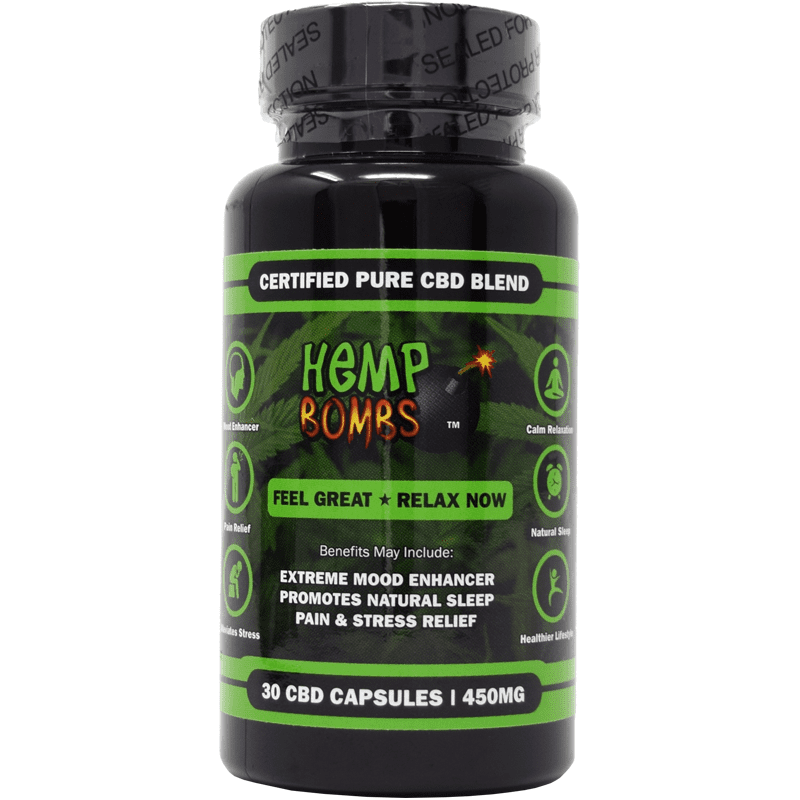 Get ready to experience an all-natural, soothing night’s rest with Hemp Bombs CBD Sleep Gummies. Each chewy gummy combines a concentrated 15mg dose of pure CBD with the natural relaxing properties of Melatonin to promote restful sleep and morning wakefulness. Our CBD Sleep Gummies are specifically formulated to help you fall asleep faster and stay asleep longer – without the grogginess you may expect from prescription sleep aids. Our pure CBD is sourced from organic, superior-grade Industrial Hemp and grown using sustainable methods. Our CBD Sleep Gummies contain CBD isolate, which means they contain pure CBD and no traces of THC. 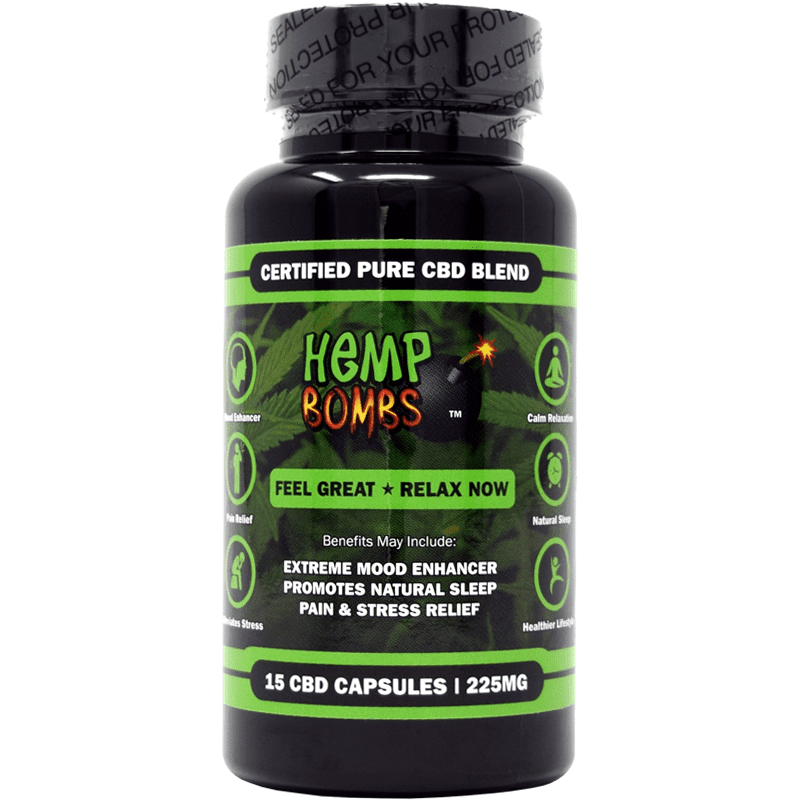 With Hemp Bombs 60-count CBD Sleep Gummies, say goodbye to restless nights of tossing and turning. Each CBD Sleep Gummy contains a blend of CBD’s natural relaxing properties and Melatonin, perfect for providing complete serenity. 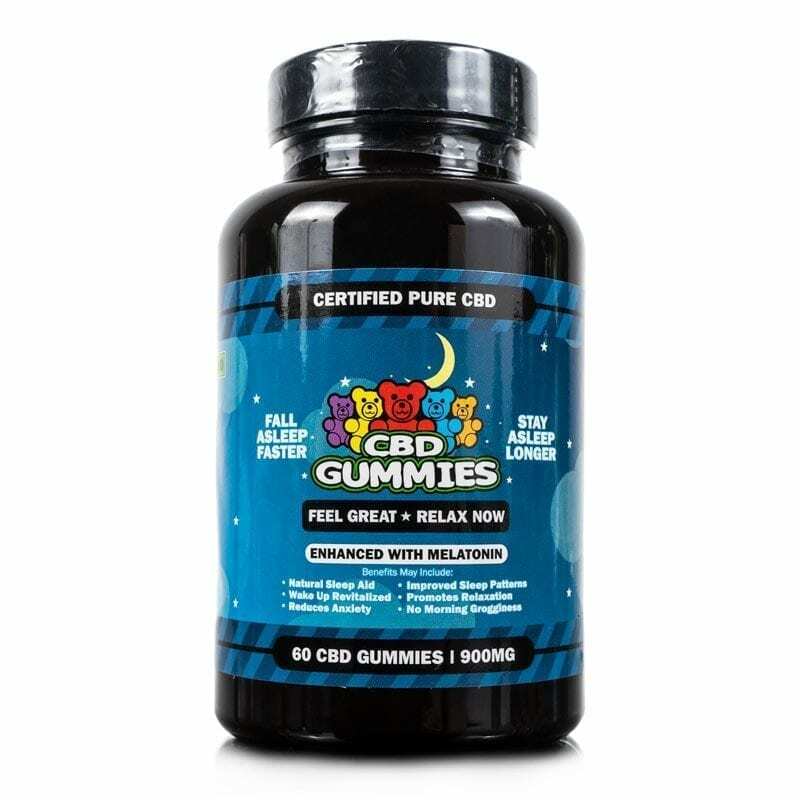 Available in an easily digestible gummy form, the balance of CBD and Melatonin will help promote a peaceful sleep at night and a revitalized feeling in the morning. Maintaining a regular sleep schedule can help boost your immune system and improve your overall wellness. 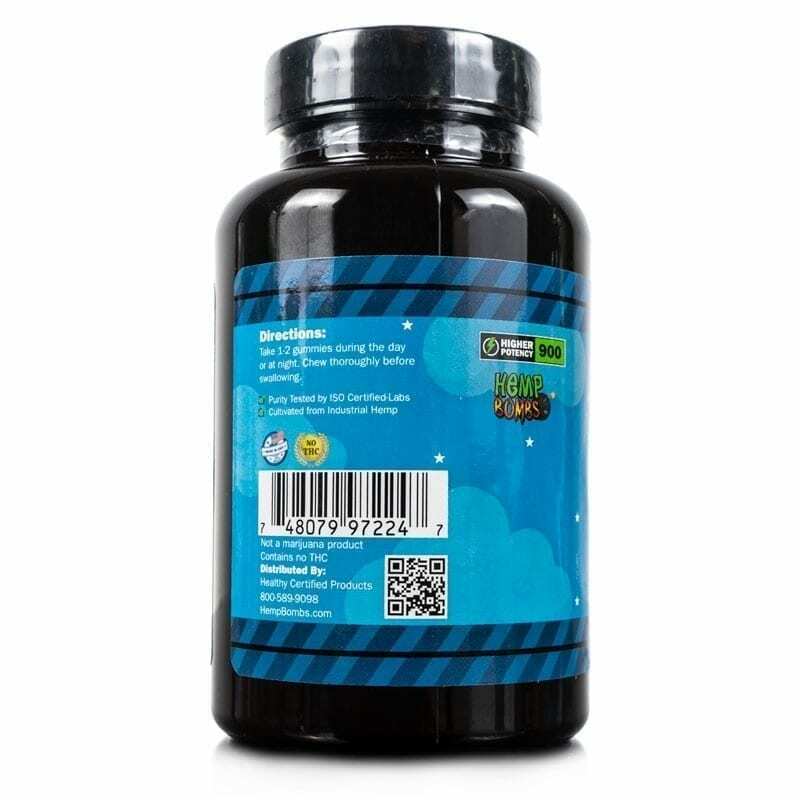 Yes, Hemp Bombs 60-count CBD Sleep Gummies are legal to buy and sell throughout the United States. Our CBD is sourced from Industrial Hemp and our CBD is considered isolate. This means our CBD is certified pure and contains no THC. I ordered sleep gummies because I have a big problem falling asleep. 1-2 gummies does not do it for me. I have to take about 4 and it takes about 3 hours to take effect. However, I eventually fall asleep and feel better in the morning. I have been an Ambien user for sleep for over ten years. I have not used Ambien now for two months since trying Hemp Bombs gummies. They work! I am currently taking the gummies for chronic pain. And believe it or not they outperformed the Opioids that I was on. I am totally satisfied and totally pain free. I couldn’t be happier. 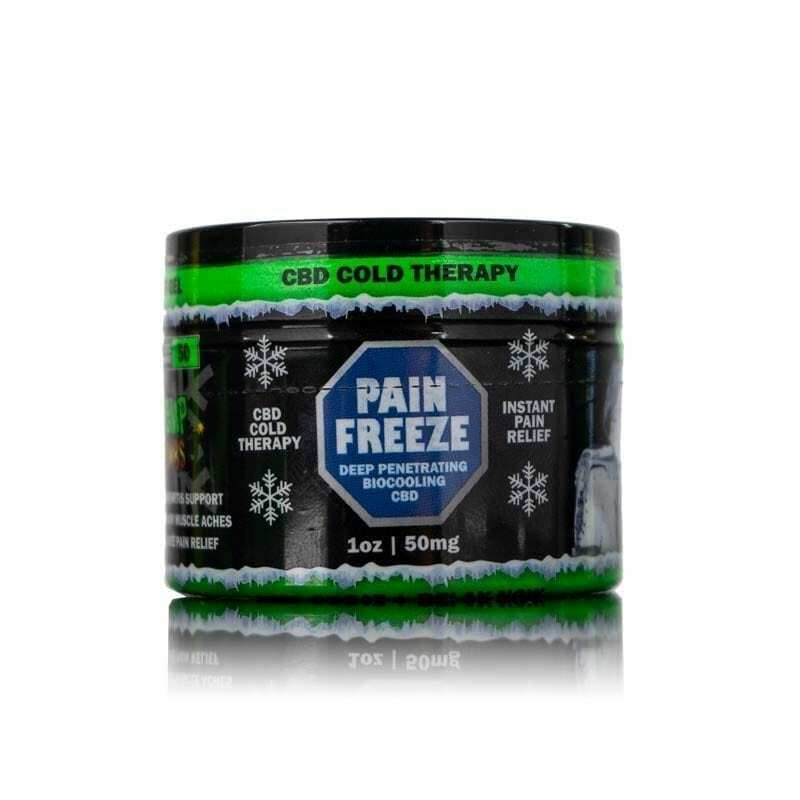 These are very handy for pain management. I am 63 years old and I keep these with me all the time. They really help. Changed my life for the better. CBD is great! What more can I say? Love the gummies for sleep. These relieve my extreme pain every day. Yay for CBD! Placed an order on the day these came out. I keep buying them because they work. Do you have an autoship program? I would join it for sure. Love this new product. Works better than all your other gummies. I read all the reviews on these and placed an order for the sleep gummies. They’re not here yet so I can’t comment on how they work but the ordering was very easy. I have purchased these sleep gummies twice now. They help me fall asleep fast and I hate sleeping pills. 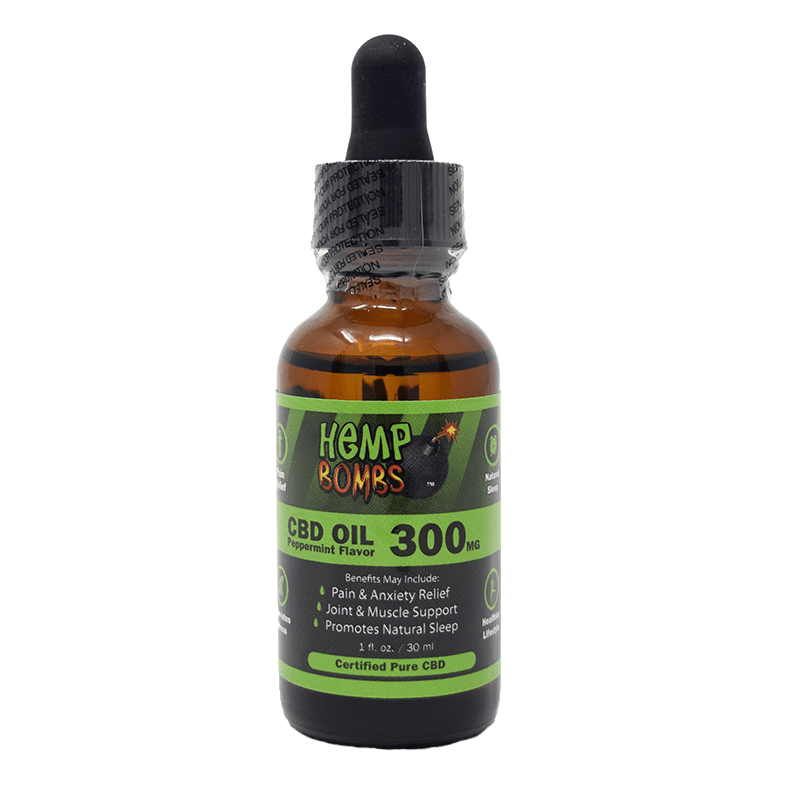 As someone in the medical field, I can tell without a shadow of a doubt Hemp Bombs uses quality cbd and extraction processes. I’ve been recommending your products to colleagues, family and friends. In my professional opinion, you have a great company and are high above the others. I am taking 2 before bed and sleeping like a queen. It’s wonderful!!!! Haven’t slept like this in years. Totally in love with these gummies. I work a normal shift with on-call, so I have a broken sleep pattern. To add to the burden, I suffer from PTSD and GAD. I am unable to use heavy medications or products with THC due to my job. I chose to try these gummies because something had to change. I am so glad I did. Not only do these gummies taste great, I can fall asleep within 15-20 mins of taking them. I can sleep most of the night with only getting up to get a glass of water and fall right back asleep. I do not feel groggy in the morning and I have seen a decrease in the anxiety. I would highly recommend this product to anyone who needs a reprieve from sleep deprivation and anxiety. My experience with the customer service people was polite and courteous both times I called in. They are doing it right. Great product, these Hemp Bombs gummies, my sleep has improved so much. I have trouble falling asleep & then staying asleep. I have prescribed medication for this but it leaves me so groggy the next day. These work wonders! My sleep is peaceful & I wake up rested with no drug hangover. These new gummies are much more effective than the regular ones. I’m guessing the added melatonin makes me more sleepy. Either which way, they are working great for me. i tried the 5 pack of these a few weeks ago and never slept better before. cant wait for these to arrive. works way better than the pills my doctor had me taking. Helps me with depression and sleep. Ordered another bottle. Based on the reviews here I just made a purchase. I am hopeful they will help me with my poor sleep patterns lately due to a death in the family. I didn’t want to take any medications and so these seemed like a good alternative. They arrived quickly, along with the rest of my large Hemp Bombs order. So far… so good. These are the perfect solution for my insomnia and last me a good while. I’ve been taking the sleep gummies nightly for 3 months now. They help to put me to sleep quickly and sleep soundly all night. Didn’t work that much better than the normal gummies. Guess I expected much quicker sleep. No biggie, still work tho. These are good. Very good. 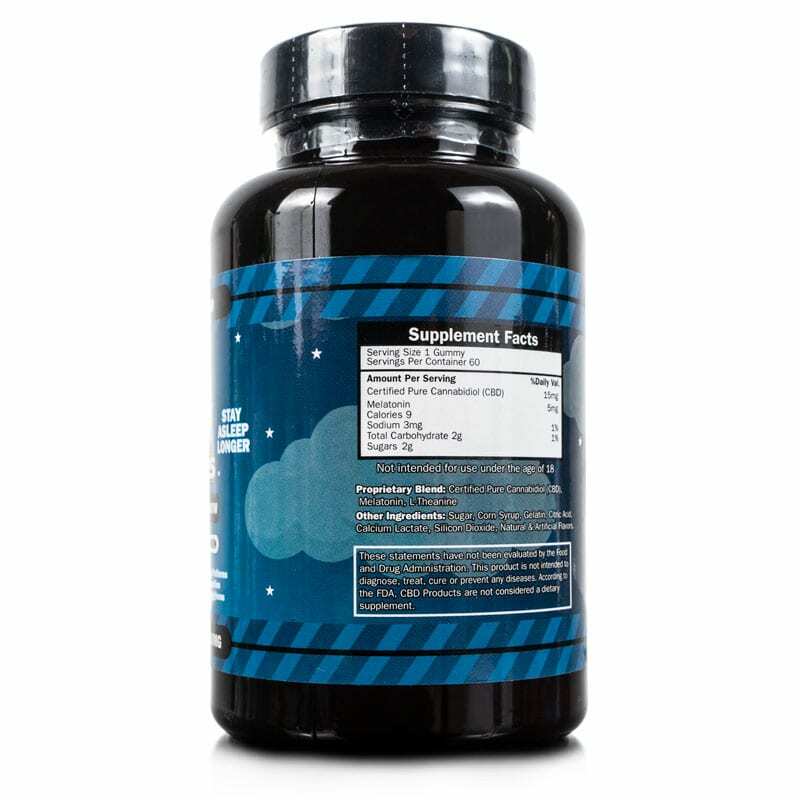 I ordered these expecting them to work batter for sleep than the non-sleep gummies and yes they did just that. Thank you, thank you. soooooo glad you all came up with these. my sleep is much better and then I’m not falling asleep at work. huge thank you hemp bombs. These sleep gummies are wonderful. I can strongly recommend them for anxiety and head ache pain. Ditch all your over the counter meds and just get these.